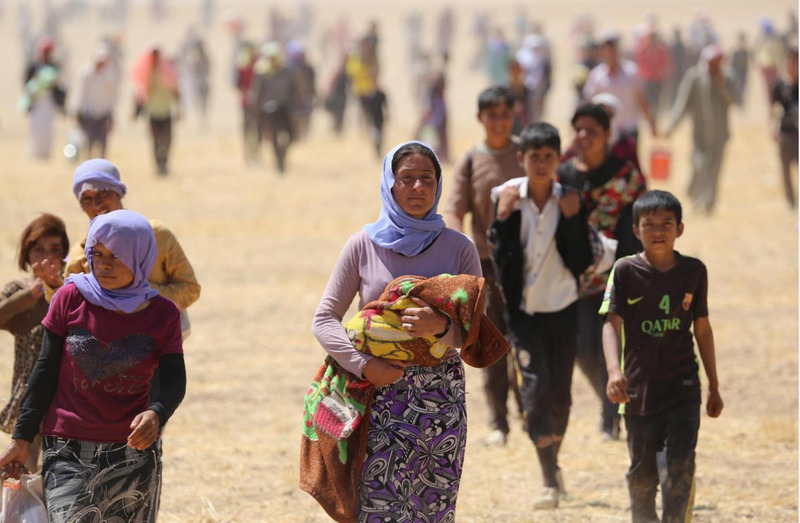 Christian aid workers have revealed that an increasing number of Kurdish Muslims are converting to Christianity after witnessing the violent, disturbing behaviour of extremist groups like ISIS, and the horrific acts they carry out in the name of Allah. Speaking to Christian Aid Mission, a ministry leader in the Kurdish Region of Iraq revealed that the organisation he works with can barely keep up with the number of refugees eager to learn about Christ and the Bible. This number has skyrocketed steadily ever since ISIS overtook many parts of the region. "They're just sick of Islam," he revealed. "People are very hungry to know about Christ, especially when they hear about miracles, healing, mercy and love. As terrifying and horrifying as ISIS is, they did us a great favour because they came and have shown them all the killing, saying that it's all in the Koran verses. So now we don't have to say much, we just say the truth." According to numbers released by the UN, the Kurdish Region of Iraq is presently hosting 900,000 refugees, out of which around 233,000 from Syria and the rest from elsewhere in Iraq. The region has also welcomed thousands of Arabs who fled the cities of Anbar province, which the terrorist group took over back in 2014. The ministry director explained that the organisation he works for extends assistance to those displaced by setting them up in tents and whatever unfinished buildings they find. Still, as the leader revealed, the needs for blankets, heaters, food and diapers remain high. After showing refugees the love of Christ by meeting their needs, the workers later bring Bibles for the refugees, he revealed. He continued, "We just help because we love them, and maybe the next time we visit we tell them about Jesus and give them Bibles. We believe in the power of the Word of God. We don't have many preachers. We don't have many missionaries, but we have the Word of God that we're able to print, purchase and deliver to the people and their children." He went on to recall a memorable account, where a Muslim refugee from his ministry was given a Bible. "He said, 'OK, but I'm Muslim, I can't become Christian - I have a big family, and my father is a very extremist radical.'" To this, the director responded, "I didn't ask you to be Christian. I'm not trying to change your religion here. I just want you to read the Bible and know who Jesus Christ is. I want you to have a relationship with God." The Muslim man agreed and took to reading the Bible with his wife and their several children.